IS 112 OCEAN AVENUE REALLY HAUNTED? 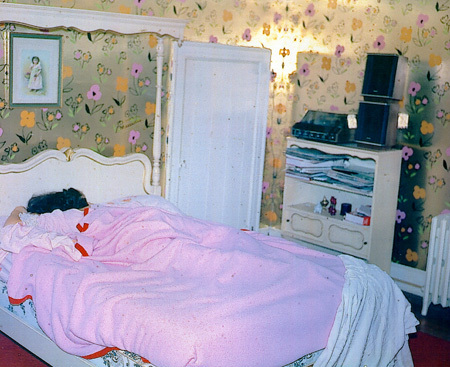 On December 18, 1975, more than a year after the terrible murders, a family of five moved in. They were George and Kathy Lutz and their children Daniel, 9, Christopher, 7 and Missy 5. 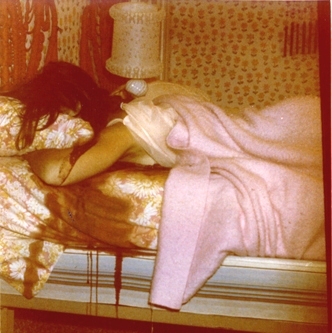 Twenty-eight days later the family fled the house, claiming it was haunted. According to the Lutzes and their priest, terrible events occurred. The Lutz family fled in fright, never to return. Find out what they were running from HERE. One of the paranormal activites that the Lutz's claimed to have seen was a white-hooded figure, its face half-blasted away as if by a gun, which appeared in the living room fireplace and was permanently burned into the fireplace wall. See an interview with George Lutz HERE. 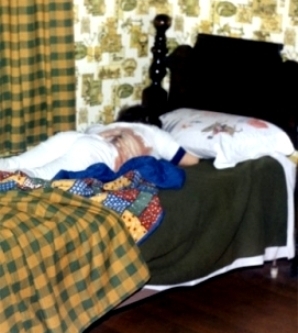 Many authorities have since then publically stated that the hauntings were a hoax, and other families have since lived in the house without incident. 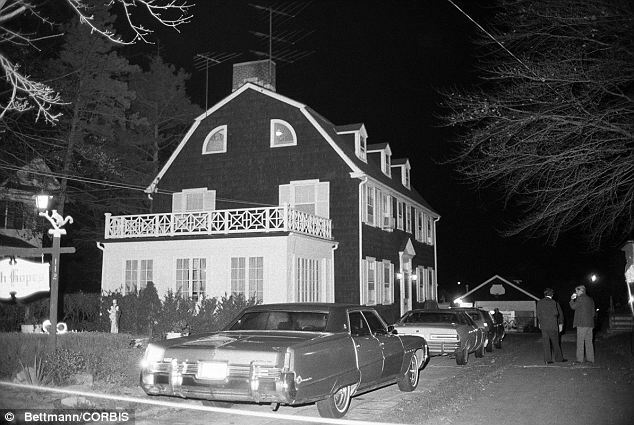 In fact, on March 18, 1977, Jim and Barbara Cromarty bought 112 Ocean Avenue for $55,000, way below the value of the house. Because of the notoriety that befell the house, the Cromartys legally changed the address to 108 Ocean Avenue to ward off thrill seekers. The Cromartys also added a fake window to the front of the house. On August 17, 1987, Peter and Jeanne O'Neill purchased 108 Ocean Avenue for an unspecified amount, and lived there happily until 1997. 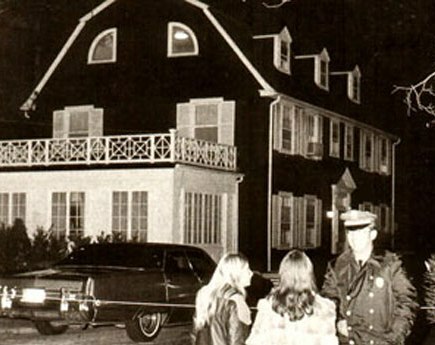 Other than the Lutzes, no other family who lived at 112 Ocean Avenue encountered paranormal activity. The house is still standing, but the eye-like windows that used to glow red at night have been replaced with more modern looking windows. But what if the Lutz family was right? 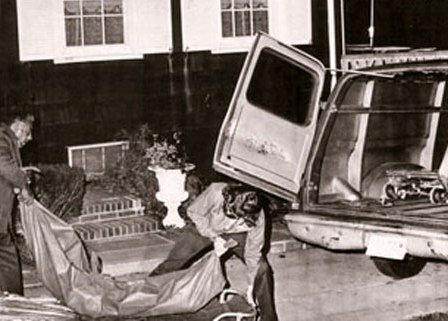 What if the tragic DeFeo children couldn't find their way for a while, but eventually did by the time the Lutz's moved? 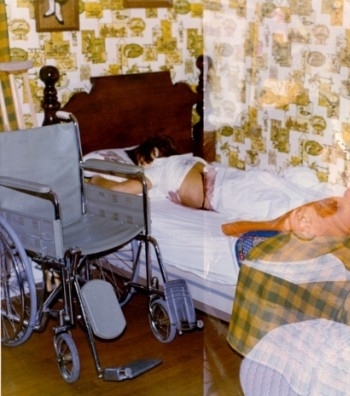 Could that shotgun-ruined image have been a ghost of one of the slain members of the DeFeo family? If ghosts wander the way of the world due to tragic deaths, then the DeFeo family certainly qualified, as witnessed below. 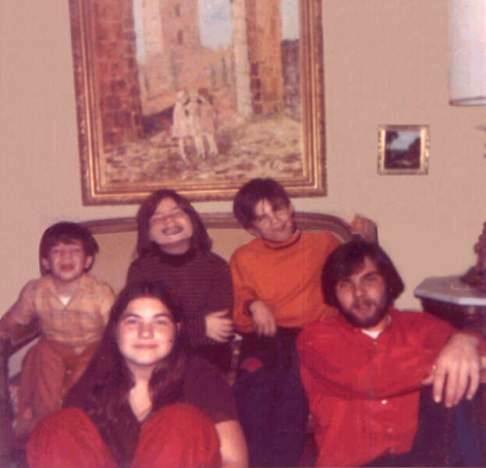 The Defeo children when they were alive, clockwise starting from back row: John-Matthew, Alison, Marc, Dawn, and Ronnie (Butch). Marc DeFeo, aged 12. The camera was not advanced properly for the first print, which explains the double image (no, not a ghost!). The wheelchair was needed at the time for a temporary sports injury. 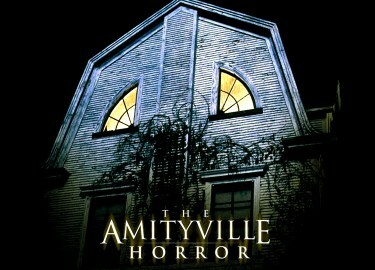 The DeFeos were a family of seven who lived in the upscale Amityville Village of New York's Long Island. 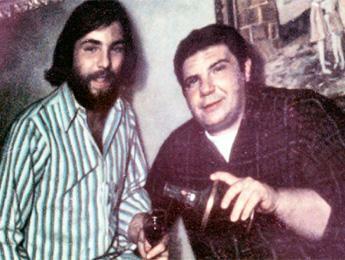 One evening, around 6:30pm, the eldest son, Ronnie (Butch) DeFeo, ran into a local bar shouting that someone had killed his parents. 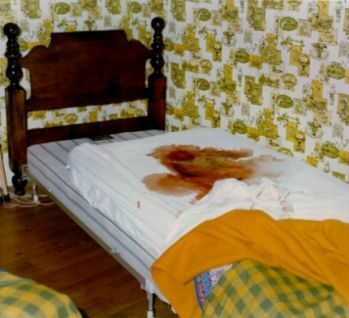 A goup of bar patrons (many of whom were friends of Ronnie's) jumped into a car and zoomed down the few blocks to Ronnie's house, where they found not only the parents, but every member of Ronnie's family shot dead in their beds. The father was shot in the back and in the neck. The mother was shot twice in the upper body. Ronnie's two younger sisters were each shot once in the head at close range. His two younger brothers were each shot once in the back at close range. Ronnie was taken to the police station for questioning and protection. While there, he quickly became the number one suspect, and confessed to police detectives that he did, in fact, commit the murders. Ronnie was tried the following year. 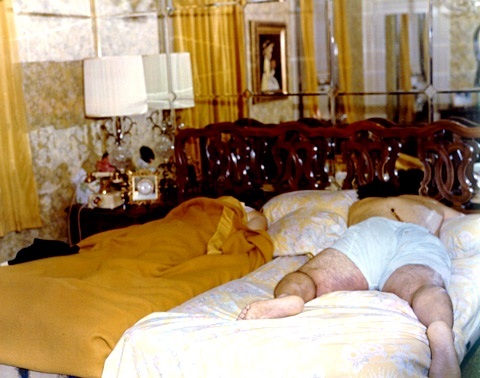 Before the trial began, by the end of May, 1975, Ronnie had gone through three different lawyers -- the last one claiming that Ronnie had tried to assault him. Eventually, on July 7th, the judge assigned William Weber to act as Ronnie DeFeo's attorney. 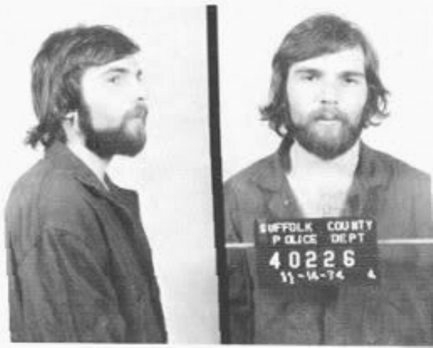 The trial began in September of 1975 and ended that November. Despite William Weber's strategy of going with an insanity defense, Ronnie was found guilty of all six murders. He is currently serving his prison sentence of 25 years to life at the Green Haven Correctional Facility in Stormville, New York.